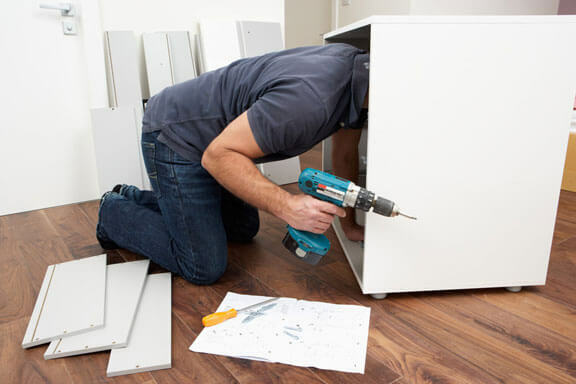 If you are going to pay someone to do your furniture assembly in Nottingham, you want to make sure the person you hire is a professional with plenty of experience. Ask the furniture assembler how long he or she has been in the business and request references. Be certain to actually check on those references and to find out if the assembler’s previous clients were satisfied with the service. In addition, ask the furniture assembler to provide you with information about his or her training, education, and certification within the field. Find assemblers with guarantees: Since you will be spending your hard earned money on hiring a professional furniture assembler, it only makes sense to find one that will guarantee his or her work. The Office Depot furniture assembly contractor should carry professional liability insurance, which can be used to pay you if problems occur with the assembler’s workmanship. Inquire about this insurance and find out whether or not the furniture assembler stands behind his or her work. Find an assembler that charges in increments: For the most part, furniture assembly companies will request an hourly rate rather than a flat fee for their work. To save a little money, find a furniture assembler that charges in 30 minute increments after the first hour of work. This way, if the job takes one hour and fifteen minutes to complete, you will only pay for one and a half hours rather than for two. Ask about the extra benefits the assembler provides: When selecting a furniture assembler, consider more than just the hourly rate. While one assembler may offer a very low rate, this rate may not include extras such as carrying heavy boxes or furniture upstairs or putting your furniture in place. Some assembling services may also automatically include delivery in their costs whereas others do not. These extras may be well-worth paying a slightly higher hourly rate. Or, if these benefits are not included in the hourly rate that you are quoted, find out how much extra they will cost you and then compare the furniture assembly companies you have to select from. Ask about scheduling: There is no doubt that you are a busy person and, as such, you need to find a furniture assembler that is willing and capable of working around your schedule as much as possible. 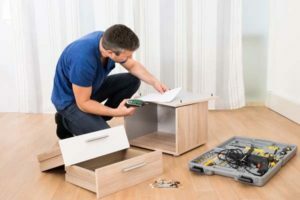 Depending upon your situation, it may be worthwhile to pay someone a little extra if he or she is willing to assemble and deliver your furniture in the evening or on a weekend. By keeping these simple tips in mind, you will have a much better chance of finding a furniture assembler that will provide you with high quality work at a price you can easily afford.